It’s seen by many as the beginning of the festive calendar – a cue like no other, telling us that the most magical time of the year is just around the corner. John Lewis’ festive ads are iconic, tugging on the heartstrings and warming even the coldest heart. So, when we heard the retail giant’s latest offering was due to drop this week, our Newcastle and Nottingham PR offices couldn’t wait to meet the new (cuddly) hero who was going to rescue us from the doom and gloom of today’s headlines. A detour from the somewhat fuzzier nature of recent years, the £7m 2018 blockbuster centres on a touching retrospective of one of the greatest musicians of the past 50 years. 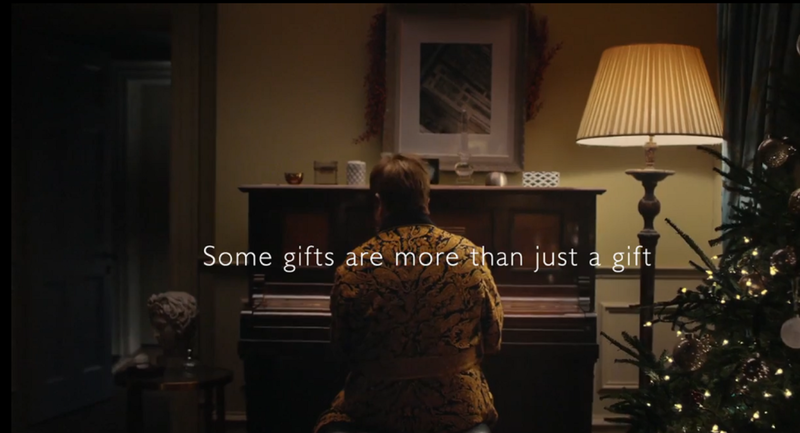 Taking the audience on a nostalgic journey through Elton’s life, the ad ends on the profound moment he, as a child, received a piano from his grandmother – a gift which inspired his career. As usual, the creative sparked media debate and was trending across social media soon after its release, with the hashtag #EltonJohnLewis. Declared as an ‘absolute triumph’ by some, many have applauded the poignant message behind the ad. While we appreciate both the moral and the celebration of such a magnificent British icon, after watching, even the most whimsical in our team couldn’t help but feel flat – and a bit cynical. John Lewis is known for its imagination – it doesn’t get more magical than a boxer dog bouncing on a trampoline – but this year seems lazy in comparison. There’s no character or story to buy into (and no plush Elton to purchase in store!) and even the song has featured before, albeit a cover by Ellie Goulding, in the 2010 campaign. All we can think is, have they run out of ideas? And, we would usually be too full of festive cheer to mind the fact retailers’ Christmas ads could be seen as marketing ploys, designed purely to boost sales with the help of specially-designed merch. But this year’s offering of pricey pianos and classic vinyl albums by the likes of The Beatles and Dire Straits – all supposedly “inspired” by its yuletide ad – has left us feeling frosty and disenchanted. One German supermarket, which found the ad a ‘Lidl bit funny’, has hijacked the public’s dissatisfaction with the campaign, tweeting: “Just because you don’t have £872 to spend on a piano, doesn’t mean you can’t be the next Elton” with a promotion for a much cheaper keyboard available at its stores. For years, John Lewis has been hard to beat in the battle of the Christmas ad. But, this year, perhaps a new star will sit atop the tree. Sainsbury’s is the clear winner for many this year – with a child dressed as a plug stealing the show in its festive campaign. Others would say its Iceland’s cause-led campaign about the damaging environmental effects of palm oil, which, although banned by advertising watchdogs for being “too political”, has gone viral, hitting over 30m online views, earning celebrity endorsement and mass public support. Although there’s a charitable cause at the heart of the strategy, it’s been so successful, some cynics have wondered whether it was merely a PR stunt. When it comes to retail PR and the launch of the annual Christmas ads, there are always going to be a few Scrooges out there, but for us here at Tonic, the big John Lewis reveal in particular will forever be a major moment in our festive season. And, until next year, we’ll enjoy our mince pies and mulled wine with a boy and his piano. Don’t let the sun go down on your latest launch. For new ideas, inspiring content and help with multi-channel campaigns, contact The Tonic Communications – and we’ll make sure you, and your product, are still standing as the new year rolls in.